The Indian kingfishers are classified in the family Alcedinidae under the order Coraciiformes. 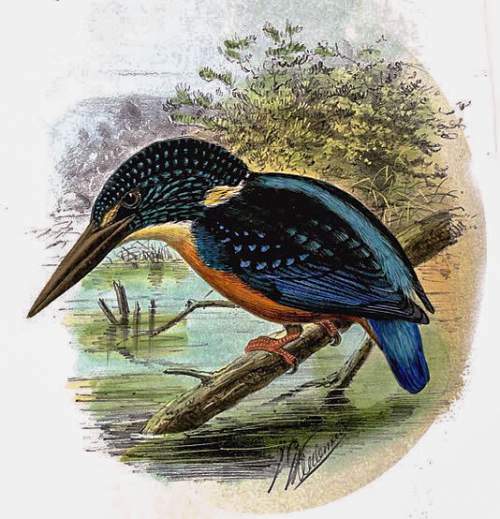 The common kingfisher species under the family Alcedinidae are grouped under the genera, Alcedo, Ceyx, Pelargopsis, Halcyon, Todirhamphus and Ceryle. Twelve species under these genera are found in the Indian subcontinent. They are medium-sized birds. 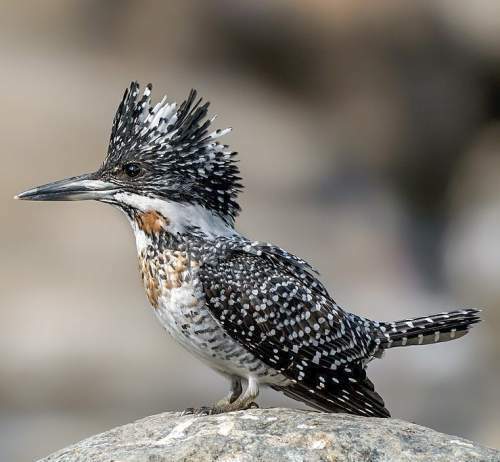 They have common characteristics like large heads, long bills with pointed tips, short legs and stubby tails. 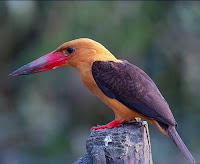 1.The species Halcyon pileata is distributed in the Indian subcontinent (India, Nepal, Bangladesh, Sri Lanka), southeast Asia, China and eastern Asia. The IUCN lists it as of Least Concern(LC). This species in monotypic. Image by Soumyajit Nandy | License CC BY-SA 4.0. 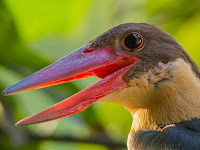 2.The species Alcedo meninting is distributed in the Indian subcontinent (India Nepal, Bhutan, Bangladesh and Sri Lanka), southern China and southeast Asia. 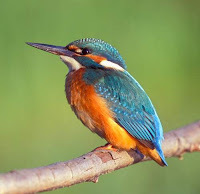 The IUCN lists them as of "Least Concern" (LC). There are six recognized subspecies. Image by L. Shyamal | License: CC BY-SA 2.5. 3.The species Alcedo hercules are distributed in north-eastern Indian subcontinent, southern and southeastern China, Myanmar, Laos and Vietnam. The IUCN lists them as "Near Threatened" (NT). It is monotypic species. 4.The species Pelargopsis amauroptera is distributed in Bangladesh, India, Myanmar and Thailand. This is monotypic species. The IUCN lists them as "Near Threatened" (NT). by Jayanth Sharma| License: CC BY-SA 3.0. The species Todirhamphus chloris is distributed in the Indian subcontient, Red Sea region, Persian Gulf area, southeast Asia, several Pacific islands and Australia.There are fifty recognized subspecies. The IUCN lists them as of "Least Concern" (LC). Picture by JJ Harrison | License: CC BY-SA 3.0. 6.The species Alcedo atthis is distributed in the Indian subcontinent, North Africa, Europe, Middle East, Central and East Asia and Southeast Asia. There are seven recognized subspecies. 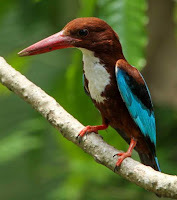 The IUCN lists them as of "Least Concern" (LC). Photo by Lukasz Lukasik | License: CC BY-SA 3.0. 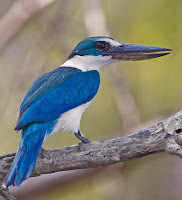 7.The kingfisher species Ceryle lugubris is distributed in the Indian subcontinent (Himalayas), southeast Asia, south and east China, North Korea, South Korea and Japan. There are four recognized subspecies. 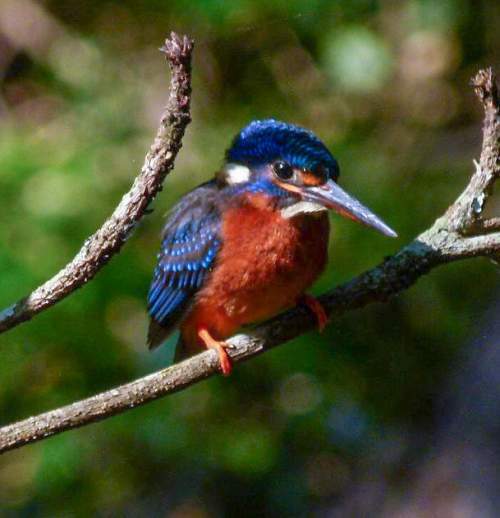 The IUCN lists them as of "Least Concern" (LC). by Mprasannak | License: CC BY-SA 4.0. 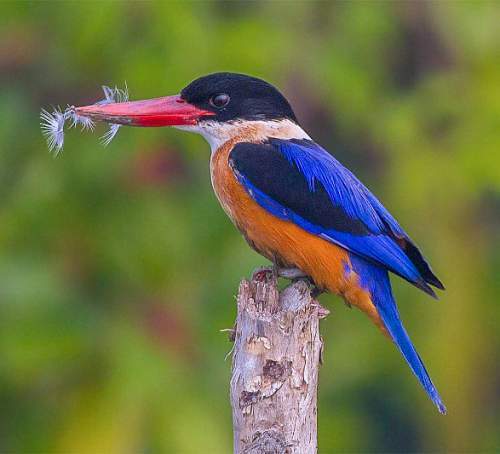 8.The Indian kingfisher species Ceyx erithaca is distributed in Indian subcontinent, southeast China and southeast Asia. They are four recognized subspecies. 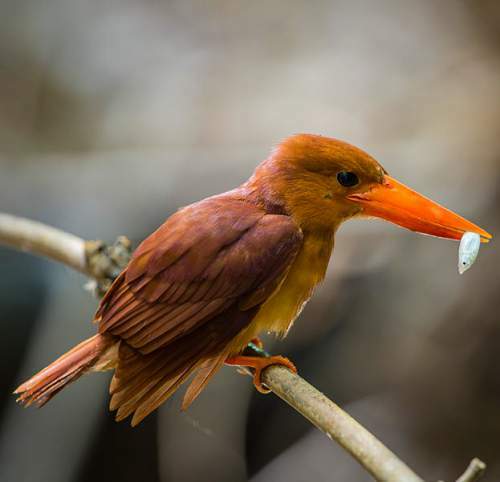 The IUCN lists them as of "Least Concern" (LC). Image by Pkhun | License: CC BY-SA 3.0. 9.The pied kingfisher species Ceryle rudis is distributed in China, Indian subcontinent, southeast Asia, China, Africa and Middle East. There are four recognized subspecies. The IUCN lists them as of "Least Concern" (LC). by Davidvraju | License: CC BY-SA 4.0. 10.The Indian kingfisher species Halcyon coromanda is distributed in northeast Indian subcontinent, southeast Asia, southern China, North Korea, South Korea and Japan. They are ten recognized subspecies. 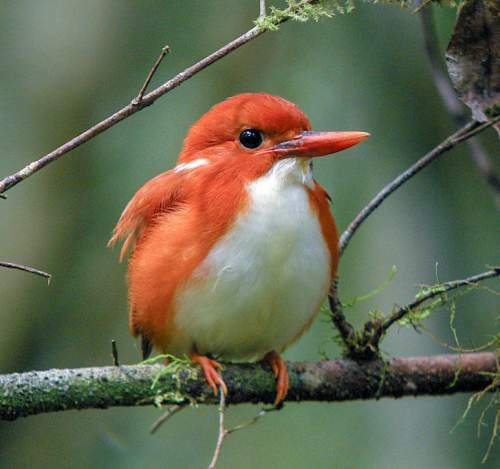 The IUCN lists them as of "Least Concern" (LC). Image by Jason Thompson | License: CC BY 2.0. 11.The species Pelargopsis capensis is distributed in China, Indian subcontinent, Myanmar, Thailand, Laos, Singapore, Philippines, Malaysia, Indonesia and Brunei. There are fifteen recognized subspecies. The IUCN lists them as of "Least Concern" (LC). by Dibyendu Ash | License: CC BY-SA 3.0. 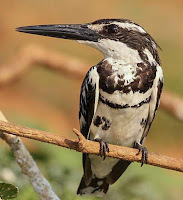 12.The species Halcyon smyrnensis is distributed in Indian subcontinent, south China, southeast Asia, Afghanistan, Iran, Iraq, Kuwait, Tajikistan, Turkey, Lebanon, Israel, Jordan and Egypt. They are five recognized subspecies. The IUCN lists them as of "Least Concern" (LC). Image by Manjith Kainickara | License: CC BY-SA 2.0. Recently updated and current topic in Bird World: List of common Indian kingfishers and images.